Joshua 16 & 17 (NLT) – The allotment for the descendants of Joseph extended from the Jordan River near Jericho, east of the springs of Jericho, through the wilderness and into the hill country of Bethel. From Bethel (that is, Luz) it ran over to Ataroth in the territory of the Arkites. Then it descended westward to the territory of the Japhletites as far as Lower Beth-horon, then to Gezer and over to the Mediterranean Sea. 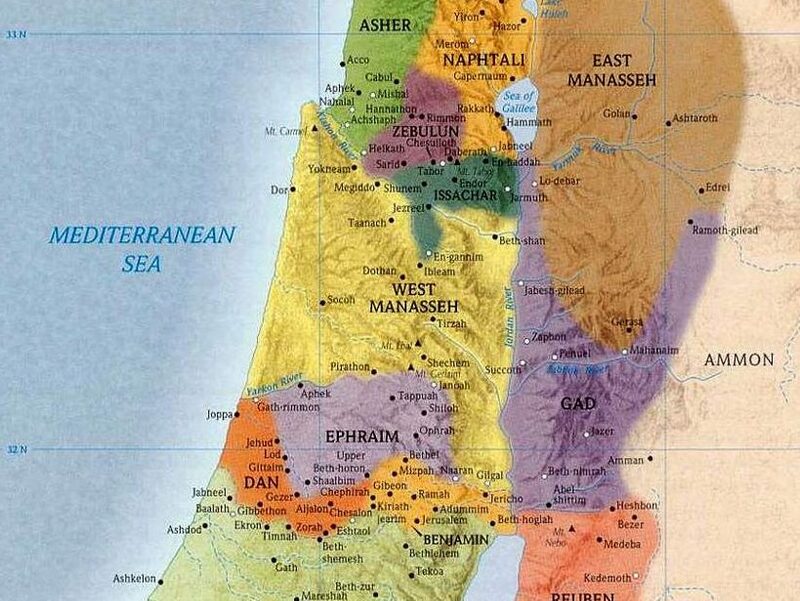 This was the homeland allocated to the families of Joseph’s sons, Manasseh and Ephraim. 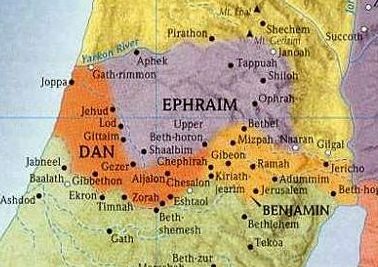 + The Land Given to Ephraim – The following territory was given to the clans of the tribe of Ephraim. The boundary of their homeland began at Ataroth-addar in the east… then on to the Mediterranean Sea. From Micmethath on the north, the boundary curved eastward… [and] turned southward… touched Jericho, and ended at the Jordan River. From Tappuah the boundary extended westward, following the Kanah Ravine to the Mediterranean Sea. This is the homeland allocated to the clans of the tribe of Ephraim. In addition, some towns with their surrounding villages in the territory allocated to the half-tribe of Manasseh were set aside for the tribe of Ephraim. 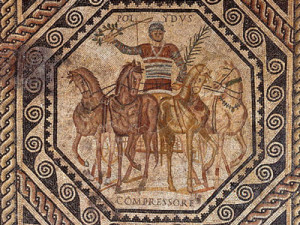 They did not drive the Canaanites out of Gezer, however, so the people of Gezer live as slaves among the people of Ephraim to this day. 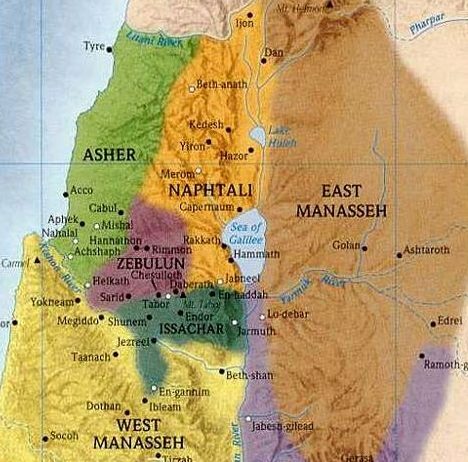 + The Land Given to West Manasseh – The next allotment of land was given to the half-tribe of Manasseh, the descendants of Joseph’s older son. Makir, the firstborn son of Manasseh, was the father of Gilead. Because his descendants were experienced soldiers, the regions of Gilead and Bashan on the east side of the Jordan had already been given to them. So the allotment on the west side of the Jordan was for the remaining families within the clans of the tribe of Manasseh: Abiezer, Helek, Asriel, Shechem, Hepher, and Shemida. These clans represent the male descendants of Manasseh son of Joseph…. … The following towns within the territory of Issachar and Asher, however, were given to Manasseh: Beth-shan, Ibleam, Dor (that is, Naphoth-dor), Endor, Taanach, and Megiddo, each with their surrounding settlements. But the descendants of Manasseh were unable to occupy these towns because the Canaanites were determined to stay in that region. Later, however, when the Israelites became strong enough, they forced the Canaanites to work as slaves. But they did not drive them out of the land. Joshua 18 & 19 (NLT) – Now that the land was under Israelite control, the entire community of Israel gathered at Shiloh and set up the Tabernacle. But there remained seven tribes who had not yet been allotted their grants of land. Then Joshua asked them, “How long are you going to wait before taking possession of the remaining land the Lord, the God of your ancestors, has given to you? Select three men from each tribe, and I will send them out to explore the land and map it out. They will then return to me with a written report of their proposed divisions of their new homeland. Let them divide the land into seven sections, excluding Judah’s territory in the south and Joseph’s territory in the north. And when you record the seven divisions of the land and bring them to me, I will cast sacred lots in the presence of the Lord our God to assign land to each tribe. As the men started on their way to map out the land, Joshua commanded them, “Go and explore the land and write a description of it. Then return to me, and I will assign the land to the tribes by casting sacred lots here in the presence of the Lord at Shiloh.” The men did as they were told and mapped the entire territory into seven sections, listing the towns in each section. They made a written record and then returned to Joshua in the camp at Shiloh. And there at Shiloh, Joshua cast sacred lots in the presence of the Lord to determine which tribe should have each section. + The Land Given to Benjamin – The first allotment of land went to the clans of the tribe of Benjamin. It lay between the territory assigned to the tribes of Judah and Joseph…. These were the towns given to the clans of the tribe of Benjamin. Jericho, Beth-hoglah, Emek-keziz, Beth-arabah, Zemaraim, Bethel, Avvim, Parah, Ophrah, Kephar-ammoni, Ophni, and Geba—twelve towns with their surrounding villages. Also Gibeon, Ramah, Beeroth, Mizpah, Kephirah, Mozah, Rekem, Irpeel, Taralah, Zela, Haeleph, the Jebusite town (that is, Jerusalem), Gibeah, and Kiriath-jearim—fourteen towns with their surrounding villages. + The Land Given to Simeon – The second allotment of land went to the clans of the tribe of Simeon. Their homeland was surrounded by Judah’s territory. Simeon’s homeland included Beersheba… — [in all,] thirteen towns with their surrounding villages. It also included Ain, Rimmon, Ether, and Ashan—four towns with their villages, including all the surrounding villages as far south as Baalath-beer (also known as Ramah of the Negev). 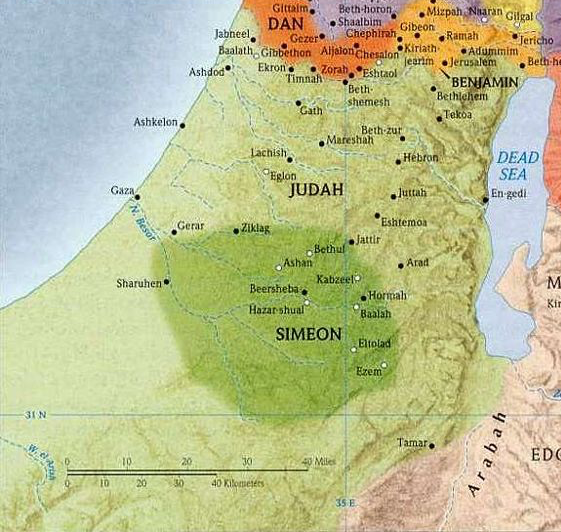 This was the homeland allocated to the clans of the tribe of Simeon. Their allocation of land came from part of what had been given to Judah because Judah’s territory was too large for them. So the tribe of Simeon received an allocation within the territory of Judah. + The Land Given to Zebulun – The third allotment of land went to the clans of the tribe of Zebulun…. The towns in these areas included Kattath, Nahalal, Shimron, Idalah, and Bethlehem—twelve towns with their surrounding villages. The homeland allocated to the clans of the tribe of Zebulun included these towns and their surrounding villages. + The Land Given to Issachar – The fourth allotment of land went to the clans of the tribe of Issachar. Its boundaries included the following towns: Jezreel…. The boundary also touched Tabor… and ending at the Jordan River—sixteen towns with their surrounding villages. The homeland allocated to the clans of the tribe of Issachar included these towns and their surrounding villages. + The Land Given to Asher – The fifth allotment of land went to the clans of the tribe of Asher…. 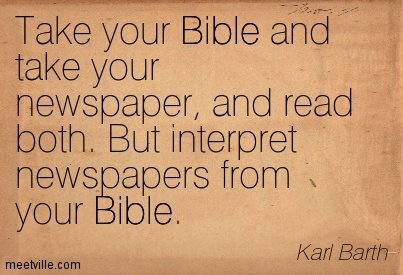 The boundary on the west touched Carmel… then it turned east… and ran as far as Zebulun in the valley of Iphtah-el…. It then continued north… as far as Greater Sidon. Then the boundary turned toward Ramah and the fortress of Tyre, where it turned toward Hosah and came to the Mediterranean Sea. The territory also included… —twenty-two towns with their surrounding villages. The homeland allocated to the clans of the tribe of Asher included these towns and their surrounding villages. + The Land Given to Naphtali – The sixth allotment of land went to the clans of the tribe of Naphtali. Its boundary ran from Heleph… ending at the Jordan River. The western boundary… touched the border of Zebulun in the south, the border of Asher on the west, and the Jordan River on the east. 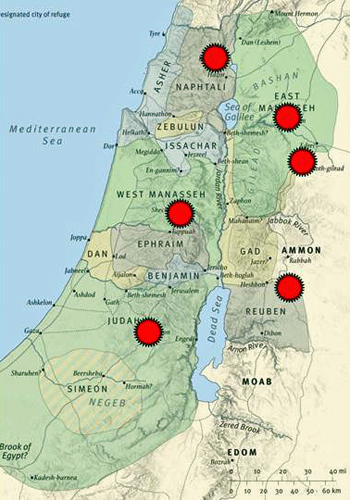 The fortified towns included in this territory were… Hazor… —nineteen towns with their surrounding villages. The homeland allocated to the clans of the tribe of Naphtali included these towns and their surrounding villages. + The Land Given to Dan – The seventh allotment of land went to the clans of the tribe of Dan. The land allocated as their homeland included the following towns: … Elon, Timnah, Ekron… and the territory across from Joppa. But the tribe of Dan had trouble taking possession of their land, so they attacked the town of Laish. They captured it, slaughtered its people, and settled there. They renamed the town Dan after their ancestor. The homeland allocated to the clans of the tribe of Dan included these towns and their surrounding villages. + The Land Given to Joshua – After all the land was divided among the tribes, the Israelites gave a piece of land to Joshua as his allocation. For the Lord had said he could have any town he wanted. He chose Timnath-serah in the hill country of Ephraim. He rebuilt the town and lived there. 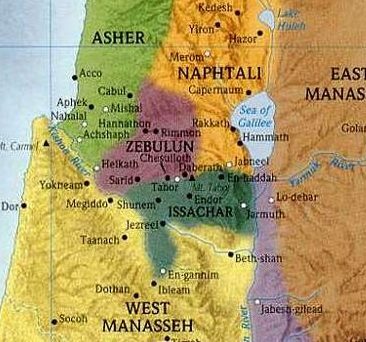 These are the territories that Eleazar the priest, Joshua son of Nun, and the tribal leaders allocated as grants of land to the tribes of Israel by casting sacred lots in the presence of the Lord at the entrance of the Tabernacle at Shiloh. So the division of the land was completed. Joshua 20 (NLT) – The Lord said to Joshua, “Now tell the Israelites to designate the cities of refuge, as I instructed Moses. Anyone who kills another person accidentally and unintentionally can run to one of these cities; they will be places of refuge from relatives seeking revenge for the person who was killed. The following cities were designated as cities of refuge: Kedesh of Galilee, in the hill country of Naphtali; Shechem, in the hill country of Ephraim; and Kiriath-arba (that is, Hebron), in the hill country of Judah. On the east side of the Jordan River, across from Jericho, the following cities were designated: Bezer, in the wilderness plain of the tribe of Reuben; Ramoth in Gilead, in the territory of the tribe of Gad; and Golan in Bashan, in the land of the tribe of Manasseh. These cities were set apart for all the Israelites as well as the foreigners living among them. Anyone who accidentally killed another person could take refuge in one of these cities. In this way, they could escape being killed in revenge prior to standing trial before the local assembly. ‹ Morning Reading: Mon, 22 Jan – Genesis 12-15 ~ Abram believed the Lord.